Fairclough Hall Farm offers a range of modern office and light industrial units conveniently located in North Hertfordshire, five minutes from the A1(M) and ten minutes from Stevenage mainline station. (Kings Cross in 19 minutes). Well established, this commercial centre attracts dynamic businesses from the local area and nationwide. 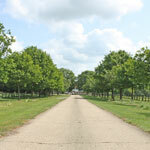 As all units have up to date network wiring and can have broadband connections most businesses can succeed in this beautiful environment. Units vary in size and many can be made bespoke for the incoming business, reflecting their individuality and style to the clients and supplier alike. Terms of contract vary on the size and type of unit required. 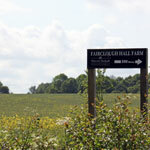 Fairclough Hall Farm has 15 different office units at present, and has permission for several more.